New and refurbished Indramat servo drives like TDM; KDF; KDA and KDS; as well as Indramat power supplies like TVD; TVM; KDV and TVR and Indramat profibus boards and memory cards. New and refurbished Indramat DDC; DDS; DKC; DKR; HDD; HDS and RAC servo drives, as well as Indramat HVE and HVR power supplies, profibus boards and memory cards. Furthermore, we stock and source numerous Indramat 2AD; MAC; MDD; MHD and MKD motors and the relative encoders, tachos and resolvers, which we can also repair. 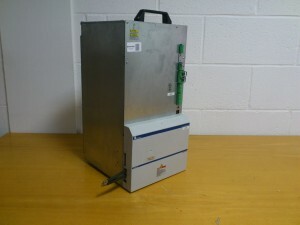 We specialise in the supply and repair of Indramat drives, power supplies and servo motors. In addition to the current range of Indramat DIAX digital servo drives, we also stock and support the old Indramat ANAX range of drives and power supplies. The repairs we carry out on Indramat equipment are fast, cost effective, done to OEM standard and almost always covered by our 12 month warranty. We have both new and refurbished Indramat parts available for sale. Most of our Indramat stock is tested and ready to ship, including legacy and long obsolete products. We can often ship Indramat parts out the same day and with many courier options available, we can offer 24hr delivery to most of Europe and even across the Atlantic. Outright Indramat sales and repairs are not the only solutions that we offer. If your faulty unit is repairable, we can offer you a service exchange, in other words the exchange of your faulty Indramat unit with a working, refurbished and fully tested one. We perform a full, functional closed loop test, to check all of the Indramat Rexroth repairs that we take on. We know Indramat equipment very well and have all the test rigs and expertise needed to give second-to-none support on it. Spare boards and original components are readily available to cut repair time, especially if you have an emergency. With Pro Servo you have the confidence that your equipment will work, after repair, when it is returned to you. As well as being technically excellent, our Indramat/Bosch Rexroth spares and repairs services are very well priced as we consistently beat the OEM on price, whilst delivering the same level of quality.